Carole Geithner has always been fascinated by the ways in which people communicate - or don’t. In an interview with the Alturas Institute, Geithner said it was with her family of origin, "where direct communication was rare and fraught," that her fascination with communication began. Now with more than 20 years of clinical social work experience and a Dartmouth College education under her belt, Geithner uses her own voice to help others find theirs. She has spent her career helping children, teens and young adults learn to listen, communicate and cope with loss. Her debut young adult novel, "If Only," published in 2012, explores the complex emotions of a 13-year-old girl faced with tragedy - a story Geithner is all too familiar with. Readers are introduced to the world of Corinna, a young girl struggling with the death of her mother as she also learns to face the everyday obstacles of being a teen. Though a work of fiction, "If Only" is shaped by Geithner's own painful experience as a young adult - losing her mother when Geithner was just 25, her mother treated at the hands of a doctor who, according to Geithner, "did not listen to his patient." Since that time, Geithner has taken opportunities to teach communication skills to people of all ages, working as an assistant clinical professor of psychiatry and behavioral sciences at George Washington University, where she taught listening skills to medical students, and as a clinical social worker in schools, counseling centers, hospitals and a private practice. Geithner has enjoyed the challenge of using her own voice to teach people to communicate about tough subjects. In a testament to the struggle of finding one’s voice, Geithner said even she has had moments where hers was difficult to grasp. She remembers feeling particularly invisible as a foreigner in Japan, where she lived for 2 years in her late twenties (Her book’s main character, Corinna, also takes a trip to Japan, where she comes to learn more about her mother). 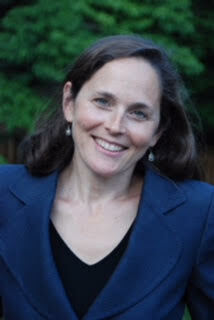 Geithner has come to grasp her voice as a therapist, an author and as a parent. She is involved with various organizations focused on helping people overcome loss, including Option B.org, Kids in Need of Defense (KIND), SLAP’d.com (Surviving Loss After Death of a Parent), Gilda’s Club Westchester and the Bereavement Center of Westchester. She also sits on the board for the Sun Valley Writers’ Conference and is currently working on another young adult novel centered around a fictional teenage girl. While everyone is different and has different adversities to overcome, Geithner said everyone can work on improving their skills of listening, learning to tolerate uncertainty and having compassion. For more information on Carole Geithner, or her novel, “If Only,” visit http://www.carolegeithner.com/index.php.